Discovering that your loved one suffered abuse or neglect in a College Park nursing home can be devastating but there is something you can do. It is important that you take quick action and learn the information you need to know here on our website. You can also call us so we can provide you with the help you need. Mistreatment by nursing homes occurs due to neglect or abuse. There are some distinctions between the two. Neglect means that your loved one was not provided with adequate care while abuse means that they were intentionally hurt. An example of neglect may be failing to properly reposition an immobile resident which results in the development of pressure ulcers. Generally, neglect is not intentional while abuse is, however, both can result in injuries or the death of a loved one. What happens if the facility is responsible? Nursing homes are required to provide proper care for their residents. When an injury occurs it may be due to neglect on the part of the nursing home staff or management. It may be necessary to file a claim to request compensation for the damages caused by abuse or neglect in a nursing home. You will need to show that the facility is responsible for the neglect of your loved one. This will require the use of medical records and possibly expert testimony. The nursing home may dispute your claim, saying that your loved one was injured elsewhere or was hurt before residing in their facility. These claims can be disputed and you can prove that the injuries occurred while under their care. Can I file a criminal complaint? If you are aware of abuse or an assault on your loved one you may choose to file a police report. This can be done through the local police department or Sheriff’s Office. Law enforcement will investigate your claim and they may choose to file charges against the responsible party. It can be helpful for you to obtain medical records so the injuries can be shown to be abusive. You can file a criminal complaint even if you are unsure whether the actions against your loved one were illegal. It is up to the police or other law enforcement officials to determine exactly what happened and who is criminally responsible. If they find that someone committed a crime they will follow through by bringing criminal charges against the individual. We are Schenk Smith, your College Park nursing home lawyers. We offer podcasts, videos and blogs online to support you in learning more about nursing home neglect and abuse. We don’t handle any other types of cases – nursing home abuse and neglect is our sole focus. 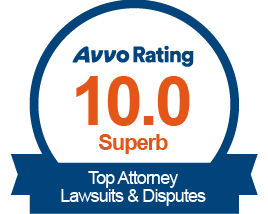 Once you have had a chance to review the information you may wish to contact us to discuss your specific situation. We are available to come to you wherever you may be located including near the Atlanta Cyclorama & Civil War Museum, Lakewood Park or the Spelman College: Museum of Fine Art. Nursing Home Abuse & Neglect in College Park, Georgia- What you need to know. College Park, Georgia is located in Fulton and Clayton Counties and has a population of 14,434 residents. Of those, 8.40% are aged 65 and older. College Park, like other communities in Georgia, suffers from incidences of nursing home abuse and neglect. Are there symptoms of abuse? In many cases there are symptoms of abuse but sometimes they are subtle. Your loved one may not be willing or able to provide you with information about abuse while under nursing home care. Therefore, it is helpful to know some of the symptoms so that you can watch for them in your loved one. Change in Behavior – Sometimes the first symptom you may notice is that your loved one seems more withdrawn than usual. You may initially pass this off as simply having a bad day, but you need to consider the possibility of abuse. Your loved one may feel uneasy about the problem and might become moody or quiet. Unexplained Bruises – You may notice some bruises on your loved one that could be indicative of a fall or of abuse. Ask your loved one about the bruises to learn more about them. Keep in mind that your loved one may not be forthcoming about abuse or neglect because they fear that the problem will worsen if it is reported. Sudden Weight Loss – A sudden weight loss might signal that there is something wrong or that abuse is taking place. Improper nutrition may be a sign that your loved one is not getting the care they need, especially during meals. Some elderly people require assistance eating and if it is not provided they may not get the nutrition they need. Poor nutrition can lead to a variety of medical problems, especially in older individuals. Are there specific injuries occurring the most in nursing homes? Many types of injuries may occur in a nursing home. Some injuries are more common than others. The most common types of physical injuries include bone fractures, bedsores, bruises and cuts. Pressure Ulcers – Pressure ulcers, also called bedsores, are painful sores that can appear in areas where the skin comes in contact with bedding and other irritants. These sores are most common on the heels, tailbone and elbows or anywhere the skin often rubs against something. The way to prevent bedsores is by repositioning the resident every few hours. Once a bedsore appears it needs to be quickly treated or it can worsen and become infected. Fractures – Fractured bones are a sign that your loved one may have suffered a fall. As we age our bones become less dense and more brittle and a fall can cause a fracture more easily. Fractured hips are among the most common injuries and they are often very serious. They may require surgical treatment or replacement and the resident could end up bedridden for weeks or longer. This could cause a general decline in the person’s overall health. Bruises – Bruises are often a sign that someone fell. Falls are a very common problem in the elderly and can be particularly dangerous in a nursing home. Caregivers are required to provide assistance to those who need help walking or moving from bed to wheelchair. When help isn’t forthcoming a person may decide to walk even though they should have help. The result can be devastating. Why is abuse so prevalent nowadays? Nursing home abuse isn’t a new problem, but it certainly seems to have escalated in recent years. There may be a number of reasons why nursing home abuse is more prevalent now than ever before. Inadequate Staffing – Some nursing homes are not staffed adequately to cover the number of residents they have. When there aren’t enough caregivers the residents suffer. They can be ignored and may go for hours without the care they need. When they do get attention it may be less than what they need and caregivers may take shortcuts in order to complete all of their necessary tasks. Improper Training – Caregivers at nursing homes seem to have a high turnover rate. This can be a factor in improper staff training. When staff members are not trained in the correct procedures the result could be neglectful care. For example, if a caregiver is not trained to reposition a bedridden resident the person could develop bedsores that could lead to a serious infection. Not Enough Funding: Some nursing homes rely on government subsidies or funding to assist in their operations. When the funding is less than anticipated they need to make some cuts. Unfortunately, the cutbacks typically impact the number of staff members or the amount of pay they receive. Poorly paid positions are not attractive to highly skilled caregivers. My loved one was hurt in a College Park nursing home- What do I do next? If your loved one was severely injured or passed away at a College Park, Georgia nursing home, then we recommend that you act as soon as possible to protect your loved one’s rights. You have another option available to you if your loved one was injured in a nursing home. You may elect to file a complaint with the Georgia Office of the Long-Term Care Ombudsman. The ombudsman program offers assistance to those whose loved ones were hurt in nursing homes in Georgia. The ombudsman office advocates on behalf of your family and has authority to go into nursing homes to discuss the problem. If your loved one suffered an assault or abuse or died due to injuries in a nursing home, it may be necessary to make a police report. Charges may be filed against the responsible party by the District Attorney’s Office: Atlanta Judicial District. For abuse occurring in a College Park, Georgia nursing home, report the crime to the City of College Park Police Department or to the Fulton County Sheriff’s Department. If your loved one was hurt while at a nursing home you may want to consider choosing another facility. Not all facilities are alike and some provide better care than others. It can be difficult to know how to compare the care that is provided at various nursing homes. There is a useful online tool that is available to help you view information about nursing homes in the area. The United States Centers for Medicaid and Medicare Services (CMS) compiles data on nursing homes. You can check to see the rating of any nursing home as well as other useful information such as inspection scores and whether the facility has had any recent violations. For your convenience, a list of all nursing homes located within College Park, Georgia is located below, along with their contact information and inspection scores. The most important factor in a nursing home abuse case is usually the medical history of the resident. The medical records will help to show when an injury first occurred, when it was reported and how it was treated. This can help to prove the cause of the injury, even if your loved one has preexisting health problems. The nursing home may try to discredit the resident’s account of the details of the injury and that is why medical records are essential to the case. Privacy laws require that the person requesting the medical information has the right to do so. Therefore, you will need to obtain legal authorization in order to secure them. However, this is one of the most important factors in resolving the case. You will be able to request medical information from hospitals and nursing homes where your loved one was treated. The medical records will provide important details of the injury which could prove that the nursing home was negligent in providing care to your loved one. In order to request medical records you will need to have authorization with a durable power of attorney, a healthcare directive or proof of guardianship. This is necessary even for a spouse, sibling or child to obtain medical information. Everyone has the right to file a lawsuit if they have reason to do so. This right doesn’t end when a person passes away. Even after a person dies someone is allowed to bring a lawsuit on his behalf. For instance, when a person is alive he files a lawsuit under his own name as the plaintiff. 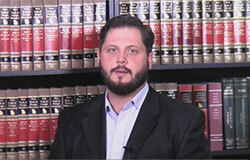 If the person is deceased someone else may file a lawsuit on behalf of the estate of the person. Therefore, the estate would be considered the plaintiff. First, an estate must be created for the deceased individual. This must be done through Probate Court in the county where the person passed away. After your loved one passed away you must take steps to set up an estate. An individual must be appointed as the Executor or Administrator of the estate. This person will have the legal authority to act on behalf of the estate and may file a lawsuit if that is appropriate. The executor may also hire an attorney to handle a legal matter on behalf of the estate. If you are searching for a nursing home in College Park you can find information below. Here you will find details such as the inspection rating, the quality rating and whether any complaints were filed against the facility. This information is provided by the CMS Nursing Home Compare Website. Focus: Our law firm focuses on nursing home cases and nothing else. We don’t handle divorces or criminal cases. Instead, we handle only lawsuits against nursing homes for abuse, neglect and wrongful death. We don’t do anything else so you can rest assured that we are passionate about our desire to seek justice and obtain the results that you and your family deserve. 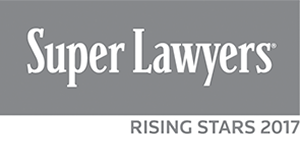 Nursing Home Litigation Leaders: Our attorneys have been selected as Georgia Super Lawyer Rising Stars. 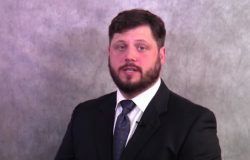 One of our founding attorneys, Will Smith, was a CNA in Georgia nursing homes for more than 10 years so we understand what it takes to provide high quality nursing home care. Knowledgeable: We handle many nursing home cases and have the latest information available. Our attorneys pass this knowledge to our clients through podcasts, videos and articles. We offer comprehensive details about nursing home abuse and neglect so you can learn as much about it as possible during this difficult time. If your loved one was injured or died in a College Park, Georgia nursing home, please call us at Schenk Smith (678) 823-7678 for a free consultation. You can also check out hundreds of video FAQs on our website.